Batman has been around for 80 years, and for me its weirder thinking that there was a time when he didn't exist. 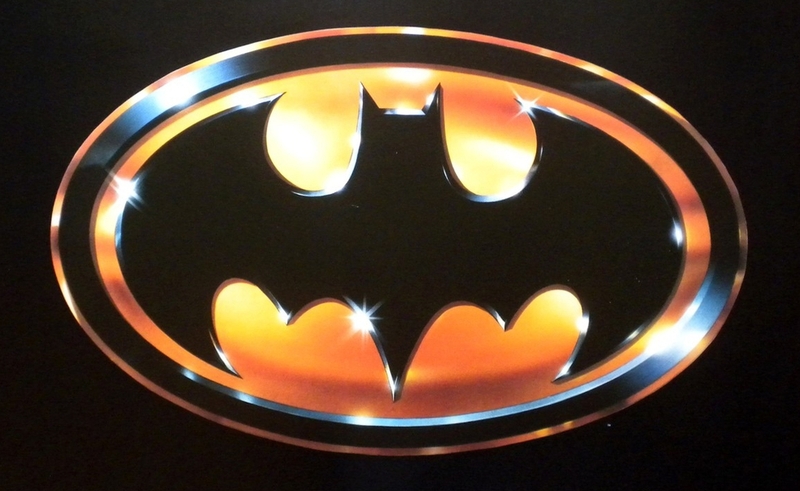 At the ripe age of 3 I taken in to see Batman (1989) as the first movie I ever saw in the theater, and since then I've been hooked. Through movies, cartoons, the old tv show, finally comics, and then unexpectedly games I've loved the guy, and I'm about to list my favorites of each. Feel free to share some personal favorites of yours. Maybe as much for nostalgia as for quality, I still personally love this flick. I've watched it so many times I've practically memorized the damn thing, yet I'm almost always up for watching it again. It still has my favorite live action portrayals of Batman and the Joker by Michael Keaton and Jack Nicholson respectively. This one was close for me and nearly tied with "Almost Got 'Em" for my favorite animated episode of Batman, but in the end "Trial" won out for me. While the episode is simply great by itself, I think the main reason I love this episode is because it answers a question I never thought needed asking. Is Batman responsible for creating his villains? No, clearly not. They created him. Favorite Batman Comic: "Zero Year"
My favorite Batman comic has changed greatly over the years, and it is probably the most likely one to change in the future. At different times my answer could have been "Batman: Year One", "Hush", "JSA: The Liberty Files", "No Man's Land"...ect. "Zero Year" was a fantastic read though, and is one of the few books from the New 52 that was worthwhile. It is another retelling of Batman's origin, yes, but it is done so much bigger and fresher yet still with plenty of call backs to the character's history that it was impossible for me not to love. Favorite Batman Game: "Batman: Arkham City"
"Batman: Arkham Asylum" was an awesome surprise, but its sequel ending up doing everything that game better. I love Arkham City, I've beaten it multiple times and I will probably do it again in the future. The story is great, the gameplay is addicting, and after the disappointments that were "Arkham Origins" and "Arkham Knight" I doubt its going to be topped any time soon. Well that was my list, what's yours? Re: Happy 80th Birthday Batman! This is an amazing idea, Grendle! If I had to pick a live action one it would probably be either Batman Begins or The Dark Knight, but no Batman film (at least in my opinion) gets to the core of the character better than Phantasm. The score by the late great Shirley Walker is outstanding (especially the opening), the story is rich and full of excellent set pieces, with and emphasis on the characters, and the voice acting is out of this world (Conroy IS Batman). This is purely from a nostalgic point of view, honestly, I used to watch this episode on VHS all the time as a kid. This episode is still outstanding, however. The episode emphasizes my favorite aspect of the Batman character, that he’s the world’s greatest detective, and it has the definitive portrayal of The Riddler (my personal favorite Batman villain). It also might be the only BTAS episode where the bad guy gets away. Plus, it has The Hand of Fate! This will probably change like it always does, but right now this one is my favorite. The art is a wonder to behold, the characters all have their own unique voice, and it spans pretty much all of Batman’s Rogues Gallery. I will always get chills when I see the two page spread of Batman at the end saying “I believe in Gotham”, because even though he’s lost Harvey Dent to the underworld of Gotham, Batman still keeps going, and still believes in his crusade. I was skeptical of it when it was coming out, because I didn’t think Arkham Asylum could be topped, but I was so happy I was wrong. The mechanics are still outstanding, making you feel like you’re Batman, and the boss fight with Mr Freeze is my favorite of the whole series. The story is really where this game shines though (probably because the great Paul Dini wrote it), and the ending is one of the best in games.